Very well made and not too large! I do not like the color as much in person, it's actually a little darker purple and not really lavender like the picture displays. The monogram is really well done, as well. We will use these for our hot tub towels. But I'm pleased with the craftsmanship. I recommend! 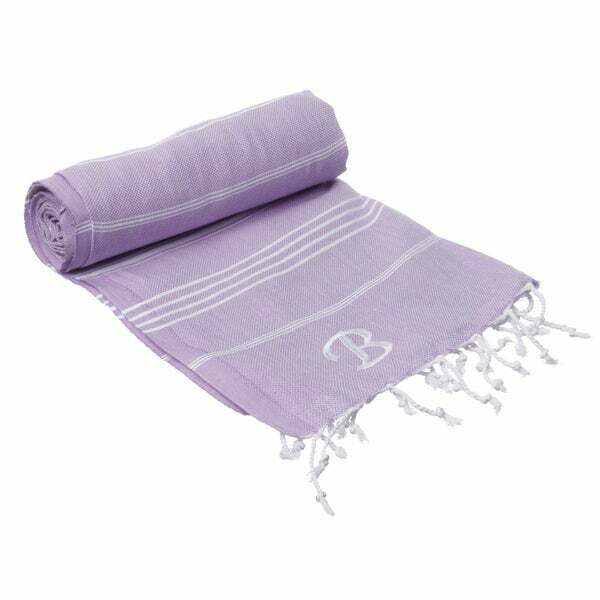 Became a first-time fouta buyer after reading an article about these multipurpose towels. Bought 2 as gifts for family and 3 for ourselves. So easy to care for and perfect for using in our compact Airstream trailer. Use 2 monogrammed towels for bath - they dry real quick. Use 1 striped as a tablecloth. Downright pretty and cool. Great value!